FILE — Outback Teen Center in New Canaan. As a debate goes on about how the town funds services for youth, the town is considering whether to continue funding to the Outback Teen Center. The majority of the center's operating budget comes from private donations, but the center has received $20,000 in town funding each of the past two years and $28,000 in 2013. This year, the Human Services Department is proposing cutting back funding for the center, which opened in 2001, to $19,000. 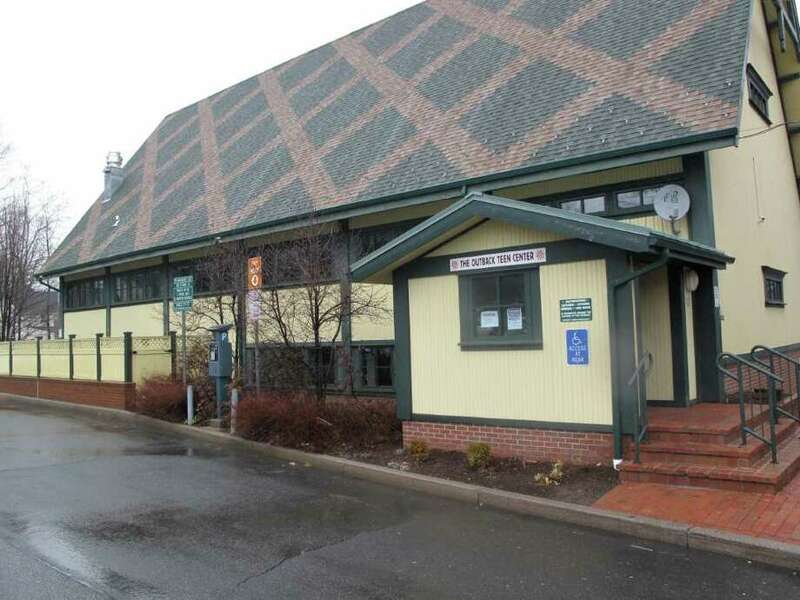 The budgeted $19,000 also is subject to being reduced further if town officials believe other services fulfill the needs of town youth, First Selectman and Board of Finance chairman Rob Mallozzi said. "The business plan to us said they need more town support to continue functioning at a more sustainable level," Mallozzi said. "The fact of the matter is, with the current budget constraints, there is very little appetite to fund them at the higher level." The board of the center is now proposing a 3-year trial that would turn over running the center to the town. Under the plan, the town's youth recreation supervisor would be director and run the center, cutting staff costs by $39,000, and the town would pay utilities, insurance and other staff costs up to $83,000. A new board would commit to raising $70,000 annually toward the operating budget of $225,000. The center has been working for more than a year toward a plan to turn the building into a wider community center with youth-oriented after-school programs with other career, parenting and life change lectures geared toward adults, said Sangeeta Appel, president of the Outback Center's board of directors. By raising the number of programs available, the center boosted the number of student and community visits from 5,712 to 8,180 from 2013 to 2014, a 30 percent increase. The group also has collaborated with other groups, including Silver Hill Hospital, NC Cares, Young Life and the YMCA of New Canaan to create more diverse programs, Appel said. "In the last 14 years, the landscape has changed in the community in terms of the number of activities for youth and places they can spend time in town and do things," Appel said. "Looking at that, we have begun to move much more towards a programmatic model." In recent years, the center has had difficulty maintaining funding for a wide scope of programs and experienced several controversies. This past October, Andrew Barer, the former youth programs director for the center, was given a six-month suspended sentence after pleading guilty to second-degree breach of peace. Barer was arrested Feb. 27, 2014, after a police investigation concluded he used inappropriate language with a group of eight to 10 boys at the Saxe Elementary School cafeteria in January 2014. In October 2013, police stopped a high school dance party at the facility after one youth was sent to the hospital after vomiting on the floor and five others were sent home for alcohol consumption. According to the plan presented by the Outback group, among the mix of scholastic and enrichment programs offered for middle and high school students going to the town-run center would be study skills, Student Aptitude Test preparation, money management and art. Appel said the greater level of support for the center called for by the plan would be on par with what many neighboring communities already provide their local teen centers. "It has been great to have Town Council members and the first selectman work with us over the last year to find an operating model that works for New Canaan," Appel said. "It has sparked discussions to look at what all the youth serving agencies in town are doing to make a positive impact and see how the Outback Center can benefit their efforts and how we can maximize resources, eliminate duplication, and best serve the community. "A lot of great people in the town government and community have been working together trying to figure out how this all fits together."